A woman is murdered in a small town in southwest Virginia, and Hank Donaghue is the prime suspect! Donaghue is on vacation when he stops overnight in Harmony, a quiet little town where very little happens. Suddenly the police kick down the door of his motel room in the middle of the night and drag him off to jail on suspicion of having strangled a woman behind a bar. Stuck in a cell in a small town, surrounded by cops who are convinced he’s a murderer, Donaghue must find a way to free himself and find the real killer before it’s too late. When he’s finally allowed to make a phone call he dials the number of the one person he knows can help him out of this mess – Detective Karen Stainer. 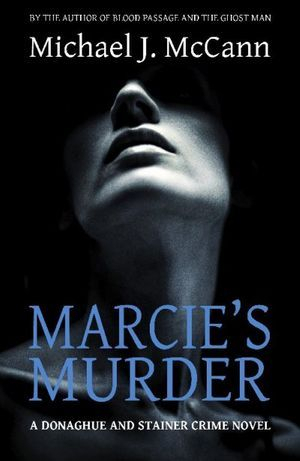 Ask your local independent bookstore to order MARCIE'S MURDER in paperback for you. It's available world-wide through the Ingram catalog.